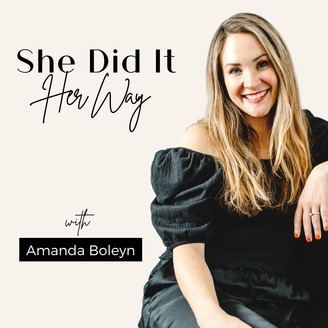 Welcome to the She Did It Her Way Podcast where we dive into all of your most important questions about starting a business and when to make the leap of going full-time as an entrepreneur. 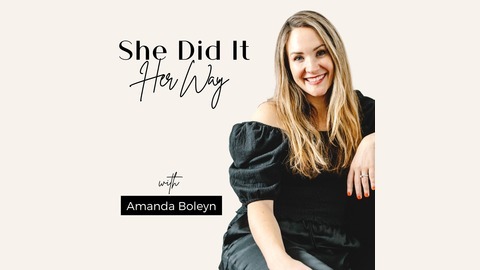 Every week, host, Amanda Boleyn delivers fresh content on productivity hacks, different business strategies, how to confidently transition out of your 9-5 and become a full-time business owner. Along with sharing her business savvy tips, she interviews women who have also gone out and done it their way (Amy Porterfield, Jenna Kutcher, Julie Solomon, Lori Harder and many more). With millions of downloads and growing every day, She Did It Her Way continues to inspire women all across the world to take massive action on their business idea and create freedom in their life. Now it is YOUR turn to start doing it YOUR way! Hey guys!!! Welcome to another solocast and today let's talk about building your website, especially if you are just starting out and getting your business going. Building a website can be overwhelming, everything can be overwhelming if you don't have a clear road map. So today we will try to make it easier by following these five simple things.